KBS 2TV's new Monday & Tuesday drama, 'Cheeky Go Go' has unveiled the still images featuring Kim Ji-suk on the filming set. 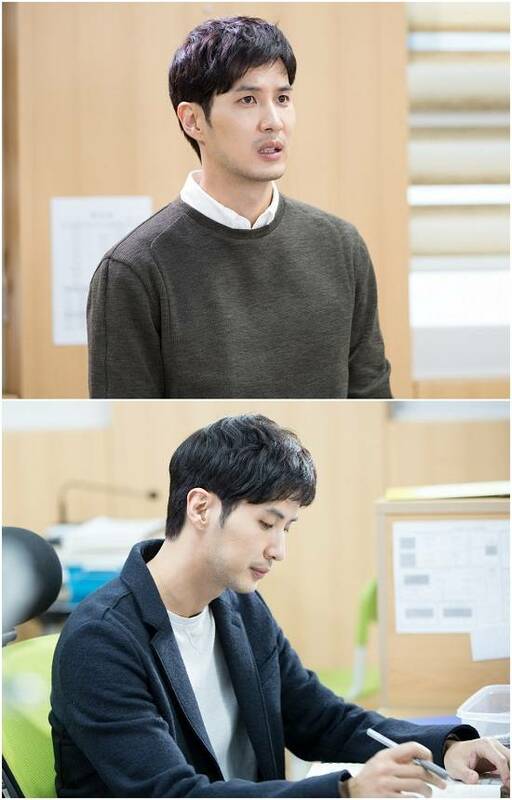 Kim Ji-suk's role, Yang Tae-beom is a graduate of Sebit High School, where he now works as a teacher on contract terms. Yang Tae-beom takes care of delinquent students on the list, scolds the students and sometimes gets tough on them; however he has a soft and caring mind inside him. He will show off the heartwarming chemistry with the youth cast including Jung Eun-ji (Kim Yeon-doo), Lee Won-geun (Kim Yeol), Cha Hak-yeon (VIXX N, Ha Dong-jae), Chae Soo-bin (Kwon Soo-ah), Ji Soo (Seo Ha-joon). It is highly anticipated that he will portray the teacher character in Kim Ji-suk's own way through his efforts to make a new transformation in his acting. As a characteristic of a school drama, the teacher's character is as important as the students' character. Kim Ji-suk is anticipated to deliver the heartwarming and bright energy to the viewers while playing the teacher who embraces students.